The Lenovo Storage D3284 High Density Expansion Enclosure offers 12 Gbps SAS direct-attached storage expansion capabilities that are designed to provide density, speed, scalability, security, and high availability for medium to large businesses. 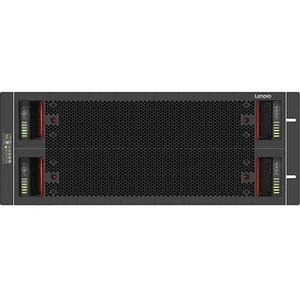 The D3284 delivers enterprise-class storage technology in a cost-effective dense solution with flexible drive configurations of up to 84 drives in 5U and JBOD (non-RAID) host connectivity. This product guide provides essential pre-sales information to understand the structure of the D3284 drive enclosure offering, its key features and specifications, components and options, and configuration guidelines. This guide is intended for technical specialists, sales specialists, sales engineers, IT architects, and other IT professionals who want to learn more about the D3284 and consider its use in IT solutions.